The drinks are on fire. There is a dragon. And of course, there is a replica of the Iron Throne. 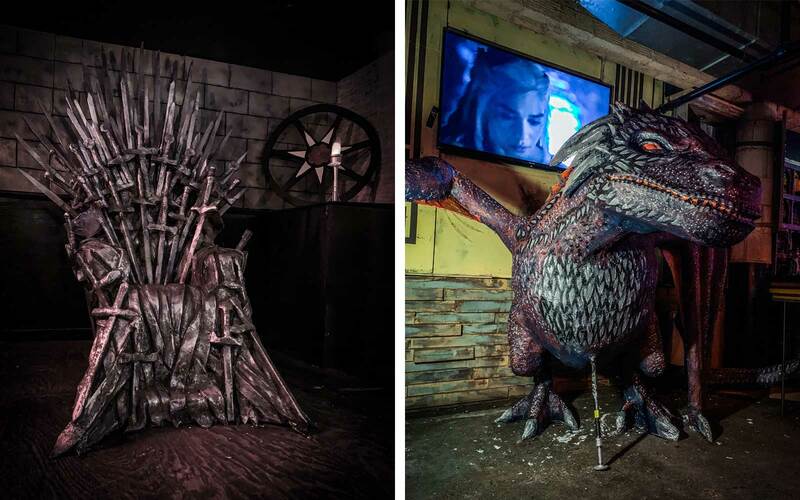 But for those who would prefer to drown their sorrows about their favorite show in alcohol, a bar in Chicago is making itself over as Westeros. Visitors who walk into Replay Lincoln Park in the next few weeks will be dazzled by elaborate sets that seem to be taken directly from the show. The drinks are on fire. There is a dragon. And of course, there is a replica of the Iron Throne. “With this pop-up in particular, we were really trying to transform the space so people will feel like they’ve stumbled upon a fantastical world where they can escape the cold, hang out with a life-size dragon, and grab a couple drinks,” Raquel Hung, one of the artists who worked on the pop-up, told Forbes. Even the menu is getting a makeover for the theme: Guests will be able to purchase Ommegang’s selection of brews inspired by the show, Arbor Gold and Fire & Blood, on tap. Entry to the bar is free, although mega-fans should consider purchasing a $20 VIP ticket. The pass will let you skip to the front at the bar, get your photo among the epic installations and includes a free pint of mead or beer, which you’ll drink from a goblet you get to take home. Replay Lincoln Park is no stranger to a themed takeover. The bar has hosted previous themed pop-ups based on The Office, It’s Always Sunny in Philadelphia and Rick & Morty. Much like the show, the concept of a Game of Thrones bar is extremely popular. In 2017, when the show was on the air, there were at least two different incarnations of the bar: one in Washington D.C. and one in Edinburgh, Scotland. And last year, an ice hotel — yes, a hotel made of ice — in Finland partnered with HBO to create themed Game of Thrones accommodations in the snow. To take it one step further, the biggest fans of the show should consider a bigger trip to tour the iconic sets for a behind-the-scenes look, including a stop in Iceland to really feel the cold.